Bodie is an original mining town from the late 1800’s which was abandoned when its inhabitants moved on to more prosperous strikes. This is a fascinating place and a photographer’s dream apart from the wind which blows the dust all over the place. 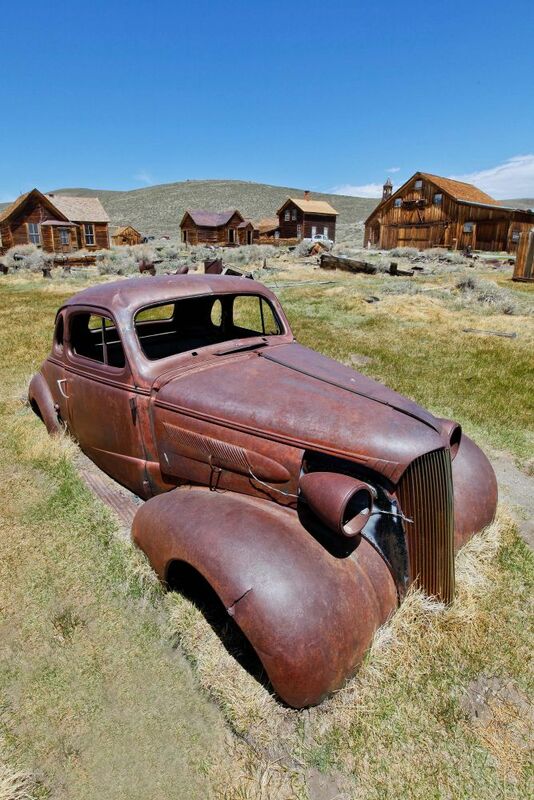 This is a Rusted car at Bodie Ghost Town one of many, there are also gas pumps and tin cans all over the town. The 13 mile dirt road to the town from the highway was a challenge in our hire car though.